TOKYO (Reuters) — Violations among groups accepting foreign trainees in Japan rose last year, the government said, highlighting concerns about a programme that is frequently criticized for poor oversight and exploitation. The justice ministry said on Wednesday it found 383 cases of foul play, the highest number since the trainee system came into effect in 2010, in sectors such as agriculture, fishing, textiles and construction. About a third of the cases involved unpaid wages. The trainee programme is aimed at training foreign workers in Japan so they can bring skills back to their home country. 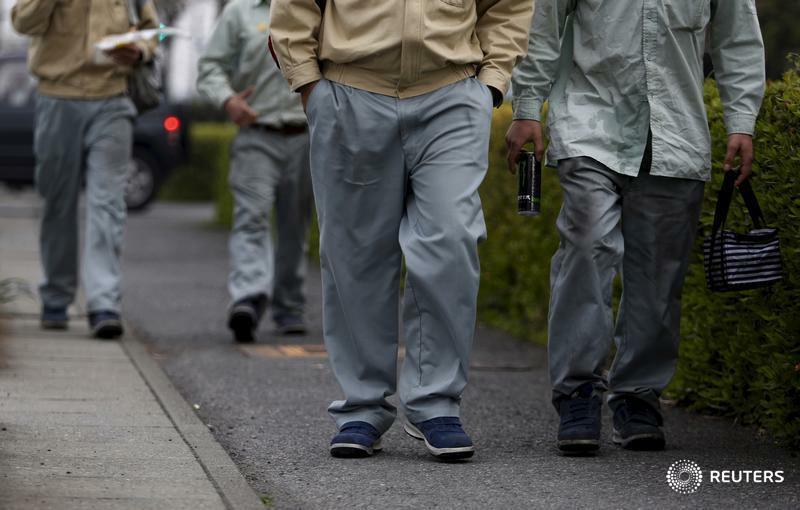 But trainees have been used as a cheap stopgap in various labour-strapped industries as Japan keeps immigration of blue-collar workers restricted. The rise in wrongdoing also comes as demand for foreign trainees rises. The number of trainees rose to 211,108 in October, up more than 25 per cent from a year earlier, according to the labour ministry. The U.S. State Department has repeatedly criticised the system and said last year there was "forced labour." It also said some employers confiscated passports and limited workers' movement and communications. Reuters reported in 2014 the abuses suffered by Chinese trainees that had worked for a family-run factory putting pleats in Burberry clothes. At one point the women were working 16 hours a day, six days a week, and paid around $4 per hour, according to records. The abuses eventually led them to flee the country. A law enacted in November aims to strengthen supervision of groups that accept foreign trainees. The number of groups and companies accused of violations fell to 239 last year from 273 in 2015, the justice ministry said.